On a mildly warm evening this past Friday, while the good majority of movie hounds were up in the hills skiing hunting for celebrities, the rest of us were down here in the valley for what was a highly attended Gallery Stroll. Honestly, much more than past Sundace-timed Strolls. Perhaps over the years we've enticed a few people to pop down for a night to check out our art scene? Or maybe it was just the alternative to sitting in a wait list line for three hours. Either way, the people were out, making this an awesome start for Gallery Stroll in 2011. --- This month we made our way back to the west end of downtown to check out the display at Art Access. In the main wing they had The Salt Lake Seven (which is technically made up of ten different photographers) all showcasing as one exhibit. For the sake of crediting, those men would be Steve Proctor, Brian Buroker, Greg Sumner, Carl Oelerich, Brett Howell, Alan Jackson, Justin Hackworth, Bill Patterson, Rocio Briceno and Kent Miles. But our attention for this Stroll is over int he "B-Wing" area as we chat with painter Marci Erspamer and illustrator Scott Stanley, chatting about their careers and the work on display, plus their thoughts on local art. And you can check out all the pictures of their work and the main gallery over here. Gavin: Hey Marci, first thing, tell us a bit about yourself. Marci: My earliest memory of feeling the power of Art was in a High School art class. Painting was something I felt I was good at and enjoyed doing. I had an inspirational art teacher who praised my work which gave me confidence. Learning about the masters such as Monet, Matisse, Renoir… had a profound impact on me. These eccentric painters seemed so mysterious, yet their work was elegant and for me transcendent. I felt a connection, and envisioned myself as one of them. One of my first books was that of Monet’s paintings. I absolutely loved his work. This is what inspired me to paint. Gavin: For college you went to Virginia Commonwealth University. What made you choose VCU for your degree, and what was their program like for you? Marci: When I was 23, I travelled across the country from Utah to Virginia on a greyhound bus by myself. It was the first time I did anything so independently. I felt brand new and a strong hope for my future. I decided to live the life I dreamed about and reach for the stars. For me, painting and living as an Artist was the ultimate. I wanted to attend the VCU School of Art, but it was too expensive as a non-resident. However, I didn’t let that keep me from learning art. So, I began to teach myself by reading books and experimenting with different techniques. Luckily, I found I actually enjoyed painting more on my own. Therefore, it was in the privacy of my studio that I became the self taught artist that I am today. Later on I enrolled at VCU and took classes for a few semesters in Visual Anthropology and Religious Studies. Gavin: During that time, what influenced you toward doing more landscapes and still-life work? Marci: Well, I started out painting figures using oils. My love of landscapes came much later in my development. When I started, people were the most important thing to me. I loved painting them and they seemed like the most challenging subjects. I started painting landscapes when I began spending more time outside, taking walks and spending time alone. I’ve found nature to be a comfort and an inspiration and that is reflected in my art. Still life paintings are my newest pursuit. One day I just decided to paint a still life, for something different and now I’m really glad I did! From a technical perspective, they are so interesting to paint because each object changes depending on their positions relative to other objects. I thought, “Wow… this little black cup just showed me how intertwined everything is and how much we are a product of our surroundings.” So for me, each genre of painting yields a unique perspective. Gavin: Considering all the places you could have gone to after college,what made you decide to come back to Utah? Marci: Mainly, my family and secondly, Utah is my home and it always will be. Gavin: Since returning you've been displaying frequently locally, along with shows across the country in DC, Tacoma and Portland to name a few. How has it been for you transitioning into being a full-time artist? Marci: Though I aspire to be a full time artist, I also work as a nanny which I love. The creative energy of children is invigorating and also very grounding. I’m fortunate to be able to dedicate myself to painting and children, two things which give me great joy. Gavin: What's the process like for you when creating a new piece, from deciding the subject to final product? Marci: I’m constantly thinking of ideas for paintings. The simple everyday things around me serve as a rich medium from which I can create an image. I photograph images that I want to paint and then use these pictures as a guide while working. The composition of the objects generally don’t change much. However, the shapes and color within each structure or piece are unknown to me until I discover them in the process. Gavin: Do you have an idea of how you'd like things to look when you start, or do you tend to play around with the color and design along the way? Marci: Yes, I have an idea of how I want the piece to ultimately look. The composition of the painting is initially sketched out and tends to keep its basic shape throughout the process. But I do play with the way the lines interact and I am very flexible to contours and color reflections within each structure. So the elements of detail do change throughout the process—in this way I think the image organically develops into itself. Gavin: Considering your painting style and the subject matter, how much of the original setting stays with each piece and how much do you change to make it your own? Marci: The places and things I paint are completely recognizable. My intent is to use the framework of reality -- but arranged in such a way so the viewer can see these real places and things in a new way. When I sit down at the canvas and sketch out the basic structure I’m excited and surprised by what comes next. Marci: For the upcoming show, I will be exhibiting pieces that use reflective objects such as jars, tea cups and bottles. This still life collection explores the basic dynamic between the objects I paint and the effect they have on each other. For, in each piece, the reflective color effects these objects have on each other are synergistic. My hope is to start a dialogue about how our surroundings shape who we are and may even ultimately define us. Gavin: What's your take on being displayed at Art Access along with Scott Stanley and the photographer display this month? Marci: It’s a real honor to be in my first two person show at Art Access. I’m not that familiar with Scott’s work, however, what I’ve seen I’ve really enjoyed. His work was vibrant, lively and unique and I’m excited to see more of it! As for the photography exhibit, I have a deep respect for this art form and think the two shows together make for perfect union. I’m looking forward to experiencing all the diverse pieces at the exhibit. Marci: I think that art is becoming more important in our local culture. No matter where you are, people are stimulated when viewing an original piece of art. Here in Salt Lake, art festivals and strolls lend a sense of community and a chance to feel like we are a part of something more expansive than our local culture. Obviously, people don’t consider Salt Lake City to be a mecca for art, Utah is more known for our towering mountains, skiing, red rock landscapes to the south and perhaps most notably for our religious heritage. But I see Utah and Salt Lake in particular as a dynamic place with a rapidly changing culture. And I believe you can see this element of diversity reflected in our art and our growing art scene. Also the southwest is a unique and beautiful backdrop for artists. But, as an artist in this age of technology, I make full use of the internet and travel as much as I can in order to pursue other markets while still remaining a part of the local scene in Utah. Marci: I believe it would be beneficial to value and emphasize art classes more in our schools here in Utah. Unfortunately during economic recessions, art is one of the first programs to be cut. However, I believe that art is a vital domain in education and a worthy investment. Art encompasses history, design, elicits empathy and helps us develop creative thinking that ultimately powers a broad range of innovations in our society. Art is really a universal touchstone that impacts us all. I’m happy here in Salt Lake we do have art festivals as well as many gifted artists. But if we were to place more value on art in our educational system, I think that would incite an even greater appreciation for the Arts and the art scene here. Marci: I think it’s great! Considering the financial climate at this time, I’m proud of our gallery owners, artists, and art enthusiasts. I hope and believe it will continue to grow. Marci: Basically, I intend to keep doing what I’m doing: painting, traveling and finding joy in the little things in life. Marci: I am definitely looking forward to meeting everyone at Gallery Stroll. Visit my website if you would like to see more of my work in addition to the pieces that will be on display. I also do commissioned paintings – my contact information is available on my website for those who are interested. And for anyone travelling to DC, my work is currently on exhibit at Gallery Plan b. I’ve enjoyed the opportunity to talk to you all and look forward to a great opening at Art Access. Gavin: Hey Scott. First off, tell us a little bit about yourself. Scott: My name is Scott Stanley, I am 29 years old and was born and raised right here in Utah. I've always loved art. From preschool to this day I've just loved to draw. Drawing consumes all those sweet gaps of daydream time throughout the monotony of everyday. In grade school I remember covering the backs of every single assignment with illustrations of skeletons and sabre-toothed monsters. I find a lot of joy in just staring and absorbing all the fun things that are floating around, from t-shirts to magazines and all the silly things that people use to personalize possessions and identify themselves. Gavin: What first got you interested in drawing, and what were some of your early inspirations? Scott: Drawing has been a part of life since I could make a mark. I remember scribbling in those cool He-Man coloring books, and then just filling notebook after notebook with Ninja Turtle drawings. As a kid, my favorite thing about making a picture was that I could draw whatever I wanted. I loved monsters from all the cartoons. I loved drawing because I could create ferocious monsters with as many legs eyes and horns as I wished. Skeletons, mummies all that was peculiar and wild caught my adventurous eyes and inspired me to draw, only I would draw it supercharged, with an extra pair of armored spikes and googly eyeballs. 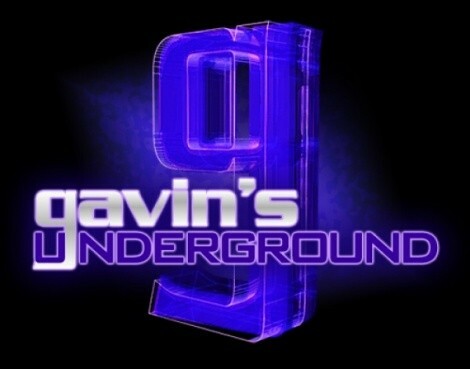 Gavin: For college you went to University of Utah. What made you choose the U for your degree, and what was their program like for you? Scott: I chose the University of Utah out of convenience, but the program turned out fantastic for me. The thing I enjoyed most about the University of Utah drawing and painting program was that each class had structure and classwork to be done, but that the solution and work was for me to experience in the creation process. With most assignments you had to discover the end result from your own self expression and experimentation. For example: if I wanted to paint a picture thirty feet tall using yarn, sukiyaki sauce and my bare feet. It was encouraged, as long as your final product showed quality, and a good work ethic. The University of Utah was enjoyable because any kind of artist can experience a diverse field of expertise. The majority of your time is focused on different methods, timeless aesthetics, and not just academic and technical expertise, but it is free and open to individual self expression. Gavin: What was it like for you first breaking into the local art scene, specifically with the design and comic book communities? Scott: Art School was a big breakthrough for me, just from networking there and meeting tons of neat artists who all have different ideals and methods of creating pieces. It's awesome to meet people from every walk of life, and I think it's great when you talk to someone about their music, their film making, their comic book drawing, their insane focus to detail, their skills in baking a cake or making a bracelet. In some way, we all have something cool to share. For me that was the big breakthrough, staying up late and drawing until finally after a year I had built up a portfolio. Then taking that portfolio and peddling it around until I got somewhere to show it. Making and showing art doesn't just fall into your lap. I feel like that is the hardest part about being seen as an artist. You not only have to make the body of work, but you have to go out and promote it yourself. Gavin: I read that you take reference books and copy over your subjects to work on. Why do you choose a subject in that specific way? Scott: I am a big sketchbook keeper. I love to draw whenever there is one of those silly slow times like a corporate meeting or downtime on the public transit or sitting in a lobby. I think all of my best ideas are scribbled down when I'm spacing out somewhere. When I'm at home, I'm digging through books or any printed product with pictures in it, sketching and scribbling whatever looks interesting. Referencing art history compositions is a super way of learning from the old masters, and then adding in something from a Japanese woodcut book, and then dropping on top of that a sketch from one of my son's books about airplanes. A big thing for me is to visually feast my eyes to break the ice and then let the subconscious and spontaneous take over. My ideas are all absorbed from my surroundings, so to make my surroundings full of a few more interesting things, I'll add them in from a reference book. Gavin: When you do have a picture picked out, what's the process like for you in creating a new piece, from idea to final product? Scott: I never really have a specific drawing mapped out. Usually an idea manifests itself in sketchbook form, and then I 'll take the concept to a nicer larger piece of paper. I'll draw out one or two similarities from the sketchbook onto the nicer paper. The initial drawing is where I will use most of the reference material to get the drawing full of shape form and detail. Following the initial drawing, I will start to fill in the drawing with color fields of either watercolor or scribble it full of colored pencil like a kid with a coloring book. I am not afraid of mistakes or drawing over my own errors, so the drawing gets wiped out and then redrawn, constantly bouncing between drawing and painting as the layers of the image are stacked on top of one another. When the process gets cruising, sometimes I'll have four or five pieces going at the same time. It's nice to have a lot of work going at the same time because while one drawing is drying I can use the same wet paint and punch up a second drawing. Intuition fills in the gaps and the art never ever feels finished, but when I can sit back and smile at the drawing, I know its ready to be shared. Gavin: Do you usually have an idea of how things will turn out or do you play with the drawing a lot before its finished? Scott: Each drawing takes on an identity of its own. I just let the drawing happen. It's kind of like dreaming. I never have a drawing planned out with a perfect solution. It 's not like math where "one plus one equals two". All of the work and problem solving are done spontaneously on the sheet of paper, and if the solution does not look right, I can scribble over it and resolve it again, keeping parts of the history and adding on top of it. I usually have an idea of what I would like to work on, but it never has a simple solution, and that's how this series was developed. It's fifteen different solutions to the same idea. Gavin: You also do a lot of chalk drawings for sidewalk display. How did you get into doing that kind of artwork? Scott: A friend of mine used to do the street chalking. She told me about it and I went and saw her participate in the Gateway's competition. Two years later, I found myself participating. Since then I have done street chalk art in quite a few different venues from Roosevelt to South Jordan. I really like the street chalk drawings because of the performance aspect. People pass by and get to watch the artist physically create the art piece, and they smile when they realize all the energy, resources and time an artist puts into making a piece manifest itself. Gavin: Is it a challenge taking the work you do on paper onto that kind of medium, or is it simply the same premise on a bigger format? Scott: Working on the asphalt versus paper is definitely different. You have to think the end result through, because your drawing is on the ground, but the people who will be viewing the art will be standing up. You need to use perspective to have a good end product and that's the hardest part. I love using the chalk because the colors are so vibrant and they blend together with ease like painting. Scott: The beginnings of this show have been bubbling in my brain for a while. It all started about two years ago when I was on vacation in my wife's home town. I had my little red sketchbook and was mesmerized by how close together all the houses and buildings were there. I started sketching simple perspective drawings of the locality. I came home with two or three intro art perspective street and light-post drawings. Consistently I'd find myself rummaging through that sketchbook and always saying how cool those perspective cityscapes were. They're fundamentals, perspective line drawings. They were cool. My previous show was about people and how unique everyone is, and I showed that by drawing different animals. In that same vein of how interesting life is, I decided to combine this concept of people are interesting, and that a big part of what makes people interesting is where they come from. My end result is "A Place Called Home". Each drawing is a unique place with an interesting figure in the foreground, and no matter who or what you are or even where you come from, you have a home, your special place full of stories and experiences. Your home is something you always carry with you and you are a reflection of that place you call home. Gavin: What's your take on being displayed at Art Access along with Marci Erspamer and the photographer display this month? Scott: Throughout art school, I would go and see what was on display at Art Access, and it has always been such a premier art space. I am very honored to show there with such well established folks like Marci Erspamer and The Salt Lake Seven. Scott: Locally I think there are tons of people out there doing art of all kinds. I find a lot of joy when I am talking to someone and they show me their silkscreen poster print shop in their garage, or bust out a zine or a comic book that they've made, or are wearing a homemade pair of earrings in their ears. We are all making something and it seems like more and more events pop up like craft shows, art galleries and studios, drawing nights,and film festivals. There are places to show art, and everyone likes making art. Going back to what I said earlier, it's just hard to market yourself and let people know you exist and that you have a body of work, and then going out and finding that place to let you show and share it. That is where the encouragement needs to go. To everyone who is still just making stuff in your basements, go out and show yourself off. We are all waiting to see what you have. Scott: Gallery Stroll is an excellent harbor for showing art. For me the benfits have been to see for myself that people make art in Salt Lake City, and that lots of people like to come out and see it. Seeing all the people out there always working so hard makes me want to work as hard as they do. Scott: I'd like to do a series of black line drawings. I've been watching my two year old son and how he draws very abstract things, but he sees them all as something specific. I want to incorporate our styles and use some Big Paper. I want to make some really giant drawings. Gosh, this year I'll be at my house sorting out my ideas and hopefully getting a bunch of them down on paper and then turning it into another series to show somewhere. Scott: I'd like to thank everyone who has supported me all my life and encouraged me to make art. I'd also like to thank all the people who support the arts locally by participating in events like gallery stroll, but also people who support arts in schools so that our future generations will have the same opportunities of self expression as I have had. I have posted my drawings online for anyone who would like to see some more of my drawings.